Last semester I taught Consumer Health Informatics and Web 2.0 in Healthcare in the College of Pharmacy (COP) after having coordinated several iterations of it in the MS in Biomedical Informatics Program. At the end of the COP course, I asked the students for their opinions about the most useful and least useful lectures of the semester (with an eye towards improving future offerings). Many of the students mentioned topics that were discussed by one of the six excellent guest lecturers. While I sincerely appreciate each guest lecturer’s contribution, I thought it would be even more meaningful to share a student response about each guest lecturer/topic. The course’s most useful lecture was Dr. Kang’s since it focused on policy and the big picture instead of just one or two tools. Most useful was Dr. Gualtieri’s because it may be the only one that really looked at things from the patient’s side. Most useful lecture was Dr. Dyer’s lecture. It was very cool seeing how healthcare was using this new tech and getting positive results. Very. Cool. I would like to see more experts like Dr. Fahrni. His lecture was most useful. It provided insight on what this breed of pharmacist does on a daily basis. The most useful topic was Dr. Mesko’s on virtual worlds because it was most forward looking. I wish we would use it more and create our own avatars. The most useful lecture topic would have to be the final lecture from Dr. Fox, it was extremely informative and I enjoyed it a lot. I’d like to see an additional lecture from him. One of the best things about working in academia is interacting with a constantly changing set of students. We have a particularly diverse group at my University in terms of background, country of origin, language, and maturity. And while it may be cliche, it is true that in teaching them you can learn just as much from them (if you are open to it). I have dabbled with aspects of instructional design, cognitive load theory, multimedia learning, etc., and other RxInformatics folks like @poikonen have posted about Beautiful Evidence, but I recently had a rotation student focus my attention on a seemingly simple element: font. Mr. Salvatico opened my eyes a bit in terms of free resources for fonts and their utility. While we didn’t see eye-to-eye on the frequency of font variation in lectures, I definitely learned from our exchanges. In the spirt of these exchanges, I present the following Fun with Fonts ‘case study’. Please be aware these lyrics do carry a parental advisory warning. P.S. A good way to see if your students are actually listening in class is to introduce this clip by Katy Perry and KENNY West and see how fast it takes one of them to correct you to KANYE West. Like many colleges of pharmacy, ours added a seminar component years ago. The seminar has since been expanded to include a paper, a poster, and a podium presentation. The topics range from literature-driven examinations of therapeutic controversies to original research tied to the faculty mentor’s specialty. This year I was responsible for the recitation on the poster component. This slide deck is what I used for that lecture. Two particularly notable resources for me in assembling this lecture included the piece in The Scientist that inspired the name  and the site maintained by the Godfather of Scientific Posters: Dr. Colin Purrington . If you want to dig a little deeper, here are my current favorite articles on the topic as well [3-5]. The full-text of all of these journal articles is currently available online for free. I’ve benefitted from attending a lot of conferences over time and have seen (and continue to see) posters that are masterful creations, along with others that are absolute rubbish. I posted the ‘Pimp My Poster’ slide deck here in hopes that it may be a resource to others, but am also keen for feedback to improve it for future iterations. Westly E. Pimp my poster. The Scientist 2008;22(10):22. Purrington CB. Advice on designing scientific posters. 2009. http://www.swarthmore.edu/NatSci/cpurrin1/posteradvice.htm Accessed February 2, 2011. Erren TC, Bourne PE. Ten simple rules for a good poster presentation. PLoS Comput Biol 2007;3(5):e102. Hamilton CW. At a glance: a stepwise approach to successful poster presentations. Chest 2008;134(2):457-9. Wood GJ, Morrison RS. Writing abstracts and developing posters for national meetings. J Palliat Med 2011 Jan 17 [Epub ahead of print]. I just had the opportunity to visit Tallahassee for the Florida Agricultural and Mechanical University (FAMU) Faculty Planning mini conference. I was there to present about the use of an audience response system as a way to increase student engagement along with its other benefits (and hurdles). It ended up being one of the best presentations I have given over the last several months because the attendees (faculty from various colleges at FAMU) were so inquisitive! Sometimes presentations don’t generate questions because they are not interesting or relevant; sometimes it is because there isn’t sufficient time allotted, etc. In this case, there was enough time and I got some great questions. I also conducted the session while using an audience response system, which helped stimulate discussion and questions after the fact. I have posted the slide deck on Slideshare, which can be accessed by clicking on the title slide or here. View more presentations from Kevin Clauson. Disclosure: Presentation was part of TurningPoint Technologies Distinguished Educator lecture series. I think about peer review a lot. This is probably because much of my ultimate success in academia will be defined by the peer review process. My fellowship director had lots of good advice (especially in retrospect) and while searching for my first job he told me not to go anywhere that they couldn’t clearly describe how they measured success…but that is a different post altogether. Anyway, the mantra is teaching, research, and service. And while teaching (especially) and service are important, if you ever want to advance – you have to produce scholarly works. Research typically requires money (or at minimum, the currency of time) and there is a prevalent school of thought that believes research does not even *exist* until it has been published in a peer reviewed journal. Every step of the way, you are dependent on peer review. Your grant and research proposals undergo peer review. Your abstract and papers for conferences undergo peer review. Your journal manuscripts undergo peer review. Now, I happen to love the process of research – so this suits me fine. I love the process of identifying and prioritizing which question is worth answering, figuring out a methodologically appropriate way to answer the question, actually answering the question (the step with the most mystery), and then converting the answer to some form where it can make a difference. I love research. I appreciate the peer review process. But sometime peer review vexes me. I think it is because I have seen how arbitrary and uneven it can be. This isn’t sour grapes. I have largely been blessed with great collaborators and decent results (decent results = stuff gets published). Rather, it is from taking part in panels that review grant proposals and serving as a peer reviewer (and editorial board member) for a number of journals. Most of the journals I peer review for are the usual suspects in pharmacy practice and informatics, but I have also had the opportunity to contribute in the review process for others like Journal of Immigrant and Minority Health, The Lancet Oncology, and Patient Education and Counseling. I think serving as a peer reviewer is absolutely fantastic for ongoing professional development and I always try to encourage new faculty to seek out those opportunities. It is a good way to get exposed to new research in the pipeline, it forces you to truly critically evaluate literature, and it enhances your abilities as a mentor. 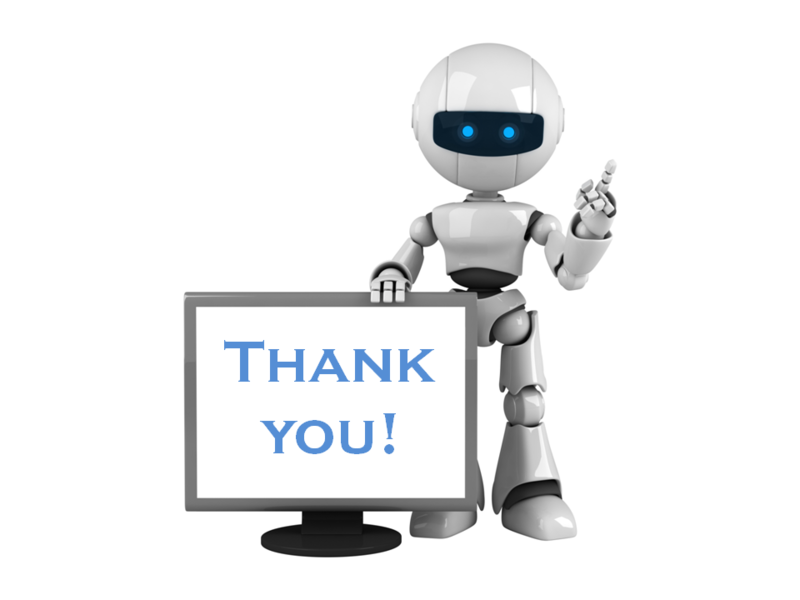 Increasingly, due to trends in transparency, you (as a peer reviewer) will sometimes see the other peer reviewers’ comments and the final disposition of the paper after the fact. This is invaluable. You get to see how your peer group thinks and reacts to the same information you examined! Did they miss something? Did you miss something? Did they prioritize something differently than you did? Why? Why not? As an intellectual exercise, it is tough to beat. The whole process is really time consuming if done correctly, but it is an investment. When I review anything, the basic formula is some version of: rigor+relevance+clarity. How those items are weighted can vary tremendously. I think an interesting example is a JAMA study in which a half-dozen physicians evaluated clinical relevance in review articles from peer reviewed journals compared to review articles from “throwaway” journals . Seriously. Throwaway. Look it up. (Yes, I know it is common parlance…but I still feel bad for their editors). Anyway, their findings were that the throwaway journal articles had less methodological rigor, but significantly higher relevance (p<.001). A bit of the ‘beauty in the eye of the beholder’, eh? There are plenty of issues and controversy surrounding peer review as it is currently practiced. Some of my favorite topics involving peer review include: open vs blinded, ethical quandaries, pre and post publication, training and consistency, and ‘peer review 2.0’. The best overview of the topic I have read is by a former editor of BMJ . It has a light enough tone to make it an easy read, but is complete enough to make it worthwhile. As a bonus, it is available for free, full-text. Rochon PA, Bero LA, Bay AM, et al. Comparison of review articles published in peer-reviewed and throwaway journals. JAMA. 2002;287(21):2853-6. 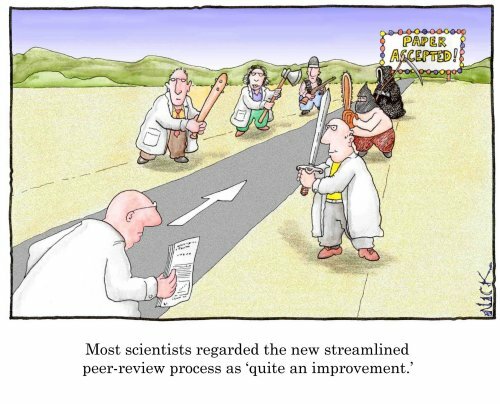 Smith R. Peer review: a flawed process at the heart of science and journals. J R Soc Med. 2006;99(4): 178–82.